The platform on the right is probably the most famous Deodato creation from the 1972 collection. The signature see-trough hole was a collaboration with the heel maker VALE from S. Elpidio A Mare. The model was supposed to be lost in time, instead it is kept in four different European museums, appeared in a 1977 British Pathé show and more recently (April 2015) in Selfridges' feature "The 1970s Trend" (below). 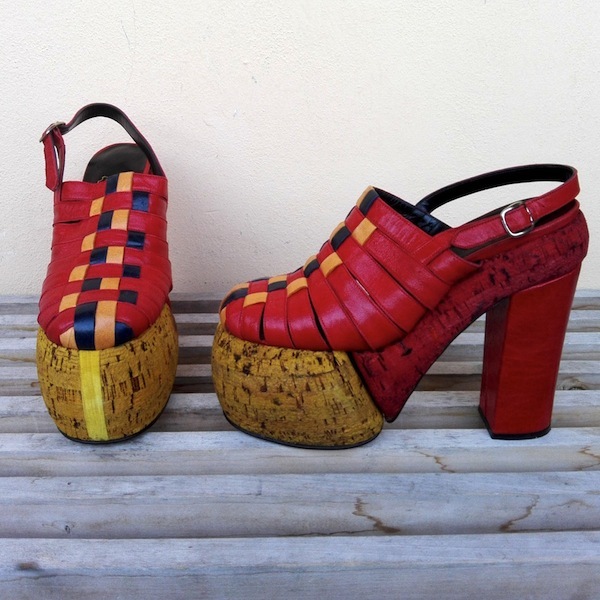 It's a different story for the platform on the left, part of the same collection: another unusual sole with a peculiar rounded shape composed of two cork pieces of different colors. Lost? No, found it. 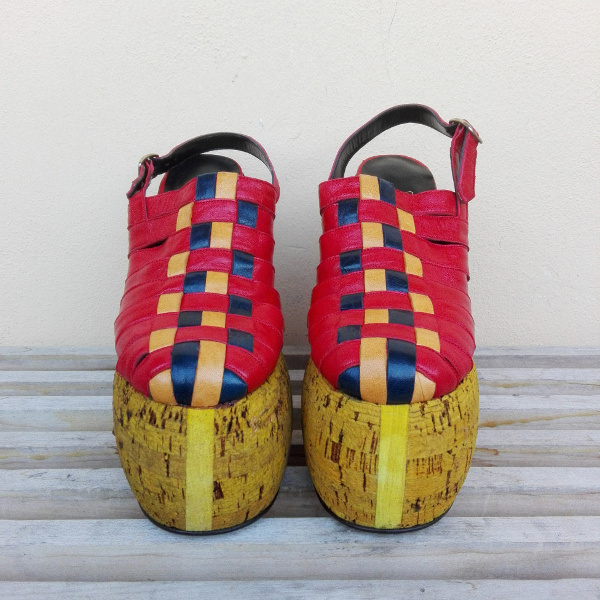 It belongs to fashion collector Martina Faralli who sent us these pictures. Both platform sandals were showcased at Milan's MICAM. An now we expect to see this model popping up from everywhere. 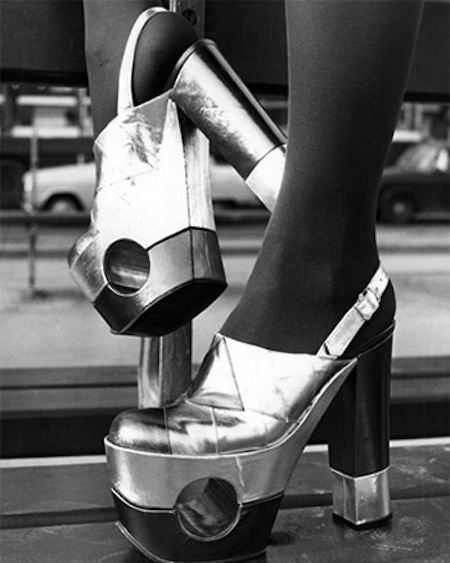 They love the trend but didn't acknowledged Deodato nor Romea; on the other hand they let us know that it is a 1973 silver platform from the archives of Sipa Press/REX Shuttershock. Right.